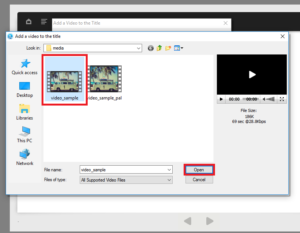 How to add/change videos in Lectora? 1. Open the page you want to add the video to. 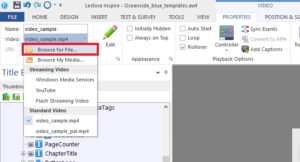 Click the Video button in the Add Media section under the Insert tab. 2. A window will open. Click the Browse button. 3. 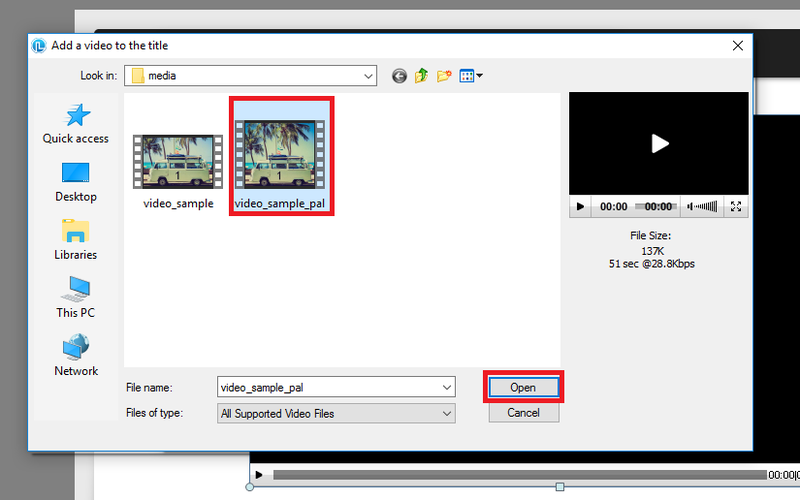 Another window will open where you will need to navigate to the folder where your desired video file is located. Select the file and click Open. 4. The window will close and the previous window will be available again. 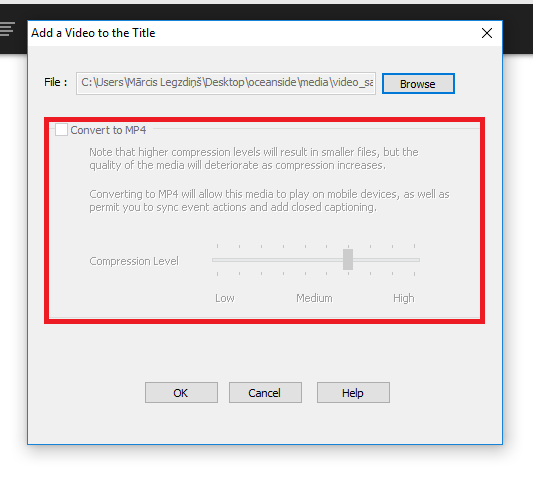 You can choose to convert your video to MP4 (if it’s not already) by ticking the box “Convert to MP4”. In my case the video is already MP4. 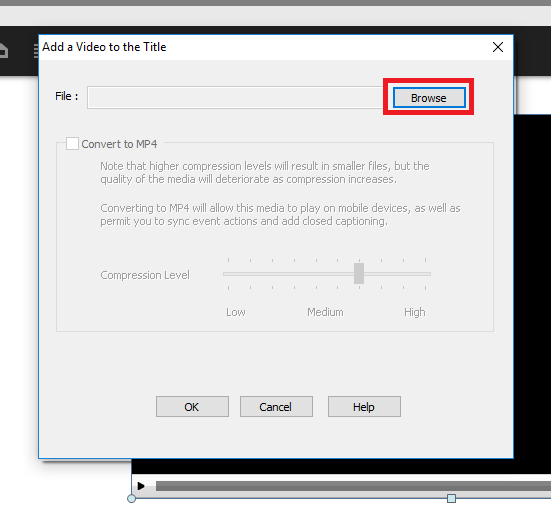 After you have selected your file and chosen if you want to convert it to MP4 you can click OK at the botton of the window. 5. Clicking OK will close the window and the video will be added to the page you were viewing. 1. Select the video you want to change in the Title Explorer on the left side of your screen. 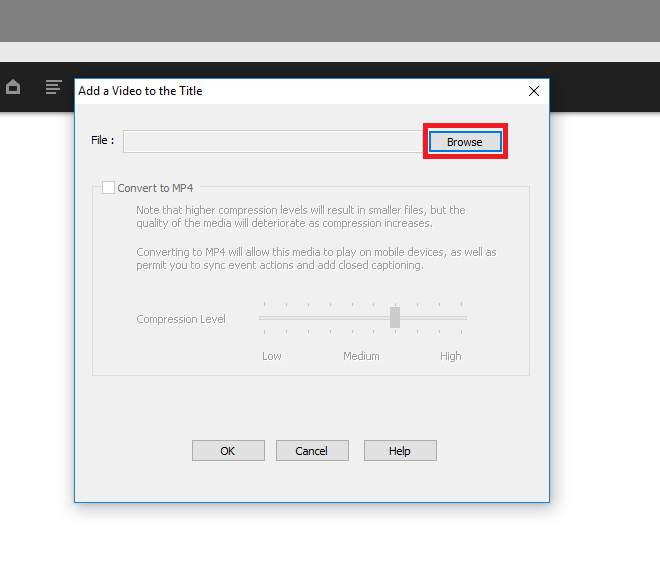 Then choose “Browse for File…” from the Video dropdown in the Video section under the Properties tab. 2. A window will open where you will need to click the Browse button. 3. Another window will open where you will need to choose the video file you want to replace the previous one with. After selecting it click the Open button. 4. The window will close and the previous window will be available again. 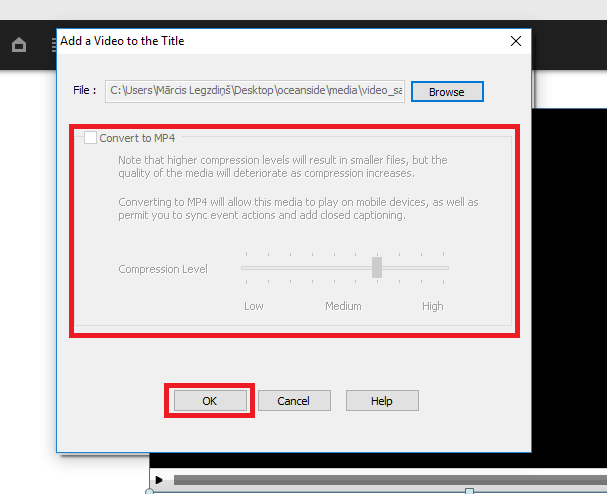 Just as with adding the video you can choose if you want to convert it to MP4 or not. After you have made your choice you can go ahead and click OK at the bottom of the window. 5. 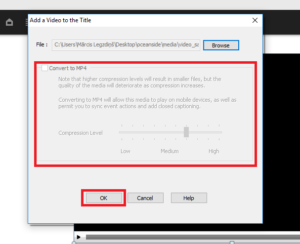 Clicking ok will close the window and your previous video will be replaced with the new one. Get our templates and start learning by doing! Get access to hundreds of interactions built in Lectora that you can use in your courses or use them as a learning material! 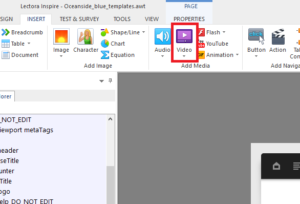 Explore hundreds of course starters, games, click & reveal, info pages and other test templates. 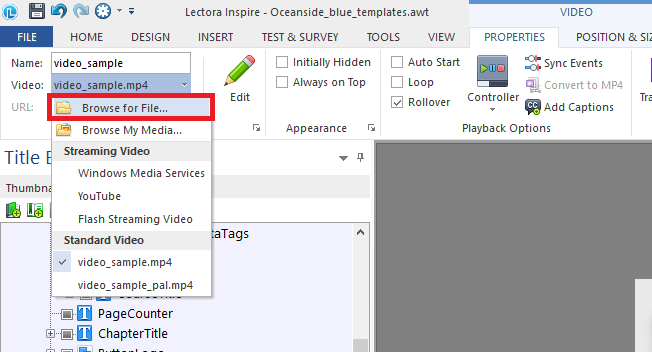 Click the button below and see all of our Lectora templates! © 2019 E-learning Templates - FasterCourse. All rights reserved.